A husky drawn sled ride is an unrivaled adventure! We give you the opportunity to try driving a husky sled in the true Klondike spirit. Our all-inclusive service comprises the following: We transport customers from our Husky&Co. sales office to Husky Kennel (a 10 minute trip, our kennel locates in Kakslauttanen area), where they are welcomed by professional husky instructors. Customers will receive a cold weather package (including overalls, shoes, woolen socks, hat etc.). After driving and safety instructions, they will get to meet the eager huskies. The customers will each get to drive a traditional wooden dog pulled sled while another customer sits in the sled, tucked up warm on reindeer hide. 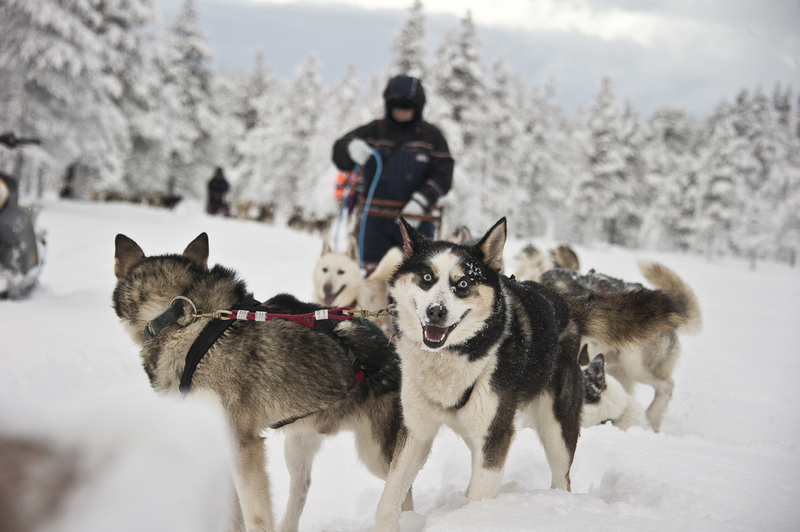 A dog sled ride is an enjoyable, action packed experience. 2 people share 1 sledge, one standing as driver, another sitting comfortably on reindeer fur. We will take breaks during the trip to change drivers and take pictures. It is also possible to arrange own team mush all the way. Finally, we will return to the husky farm to enjoy drinks and snacks by an open fire in an exotic, traditional Lappish wooden dwelling. 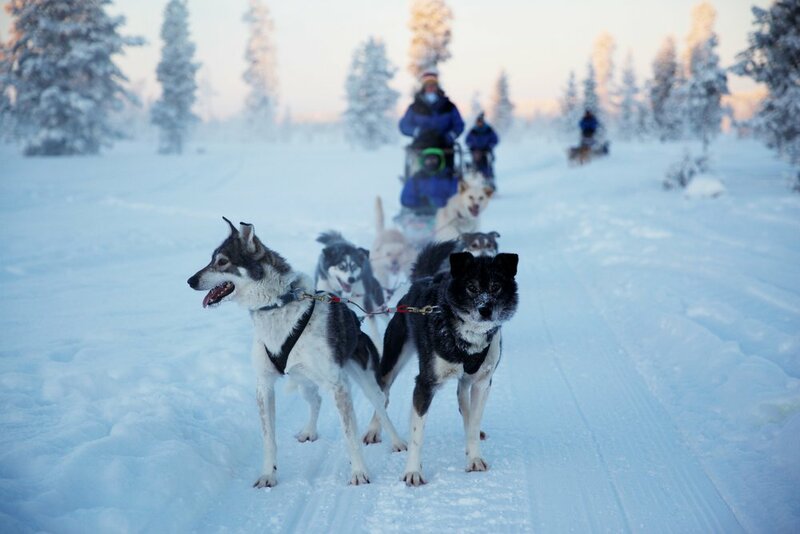 To finish the excursion, we will meet the farms husky puppies (subject to availability) , say goodbye to our sled dogs and head back to Saariselkä and your accommodation. *Children under 6 years old is sitting in same sledge with parents, children price applies for kids 4- 11 years old. under 3 years old free of charge. *Children are usually passengers, bigger kid over 15 years old might be able to drive the team, it concerns on the weight and ability. please consult with our guide on spot. Children price applies for kids 4- 11 years old.